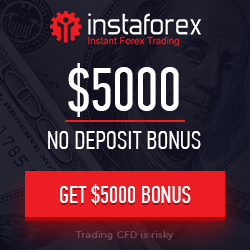 The new $5000 No Deposit Bonus from InstaForex is an exciting opportunity to start Forex trading. This is your way to the largest and most liquid market which has become the main source of stable income for many traders around the globe. 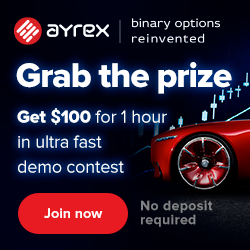 With $5000 free bonus you will be able to estimate our unsurpassed quality of order execution in real trading conditions with no risk and personal investments. The free bonus is credited automatically once requested and is available for trading straight away.